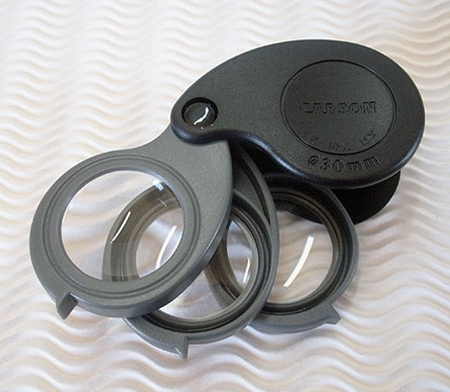 Carson TriView Folding Loupe (5X, 10X, & 15X) - This loupe has three lenses that fold into a built-in case. 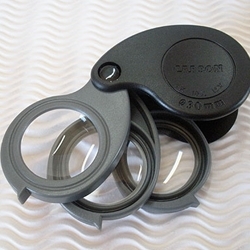 Three magnifications in one loupe- 5X, 10X, and 15X. When folded down, the case measures 2-3/8 inches long and 1-1/16 inch high.